For small meetings or events, the Hampton Inn provides a meeting and event space with all of the important features. 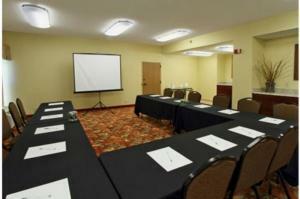 The meeting space accommodates up to 35 people. Ask about their different options, including free high-speed internet access and free hot breakfast. 500 square feet.